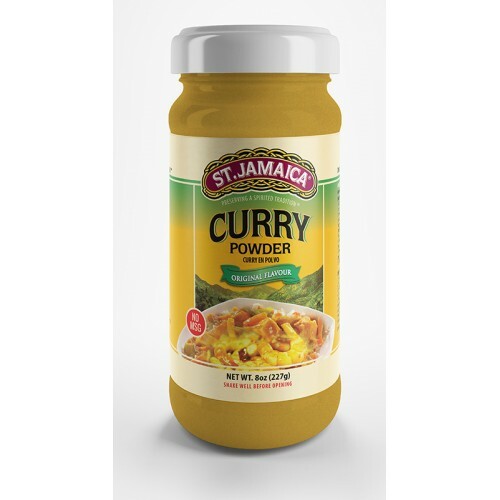 ST.JAMAICA CURRY - Original Flavour is made with the finest quality Turmeric, Salt, Coriander, Pepper, Cumin, Garlic, Allspice, Thyme, Onion, Ginger, Mustard & Fenugreek. 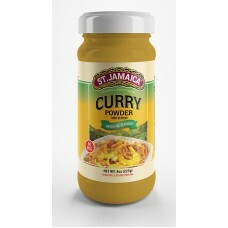 ST.JAMAICA CURRY will enhance your poultry, meat, seafood or vegetable dishes. Add to your favorite dish being seasoned and adjust as needed to taste. All-Natural contains No MSG.